The DIRECTV RC73B universal remote can control up to 3 devices and operates as a replacement for most DIRECTV receivers. 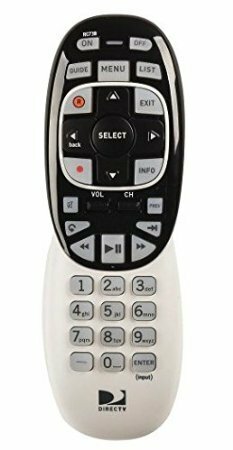 This remote includes both infrared and RF modes and features an ergonomic design for comfortable use. For use with all new and older DIRECTV brand equipment. Also compatible with most third part DIRECTV receivers. If you have any questions about this product by DIRECTV, contact us by completing and submitting the form below. If you are looking for a specif part number, please include it with your message.